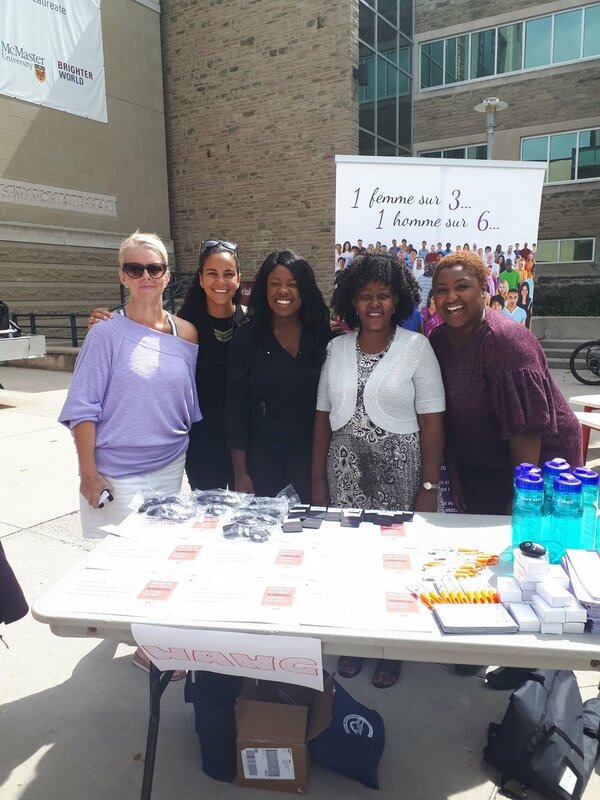 WAWG participated in McMaster University's resource fair during welcome week in August in an effort to address sexual violence during univerity. WAWG representative used an interactive activity with sexual assualt statistics to engage students and spread awareness of the prevalence of sexual violence on campus. We also provided a number of tips to prevent or seek help about these incidents including respect of consent and resource contacts on campus. WAWG representatives ready to talk to students and staff about sexual assault stats and how we can create a #campusfree of sexual violence. 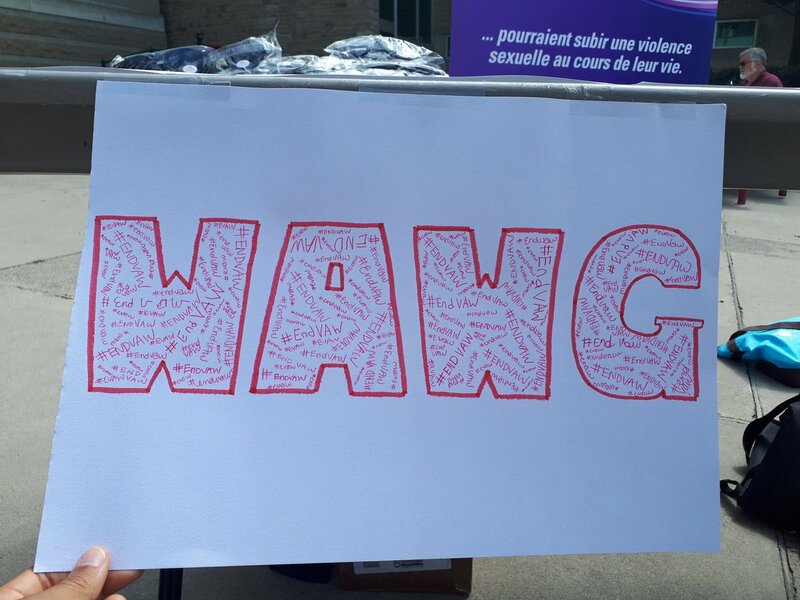 This sign is a collaboration of many local youth writing in #EndVAW to fill out our initials - it's their contribution to the #McMaster resource fair!